The universe has spoken, and when it speaks you can’t help but listen. Longing for something, not really an answer more of a salvation or a type of healing, I piss poorly put out the intention that I needed that something. I needed help, that healing and I needed to get away. To get away from the looking over my shoulder, around every corner, down every street, as he watches ever move, typed word, breath I take. Not wanting to run but I was time. Universe, I’m ready…I think…get me the f*ck outta here so I can heal. I love my family, my friends but I have to get away. I need to get back home, where I belong, back to the road. Then, the universe spoke! Using Alice, my 75 year old adventure friend, as the conduit in a text message. Alice wanted to go on a road trip in her faithful Van, Zorro, with no plans or direction except to head out on the road for 4-6 months (longer or shorter). She asked if I’d be her driver. Reading the message, I sat back taking it all in. I was once again headed home, back to what makes my heart SING: being a nomad. I’m stoked and excited! I’m also sad. Since India’s enjoying retirement from adventure life so much, she will be staying with my mom. Plenty of treats and belly rubs for that spoiled dog!!! Not sure where we are headed, what we will do, what we will face, what will happen but ones things for certain, nothing heals the soul like a good ol Case of the Nomads!!!! 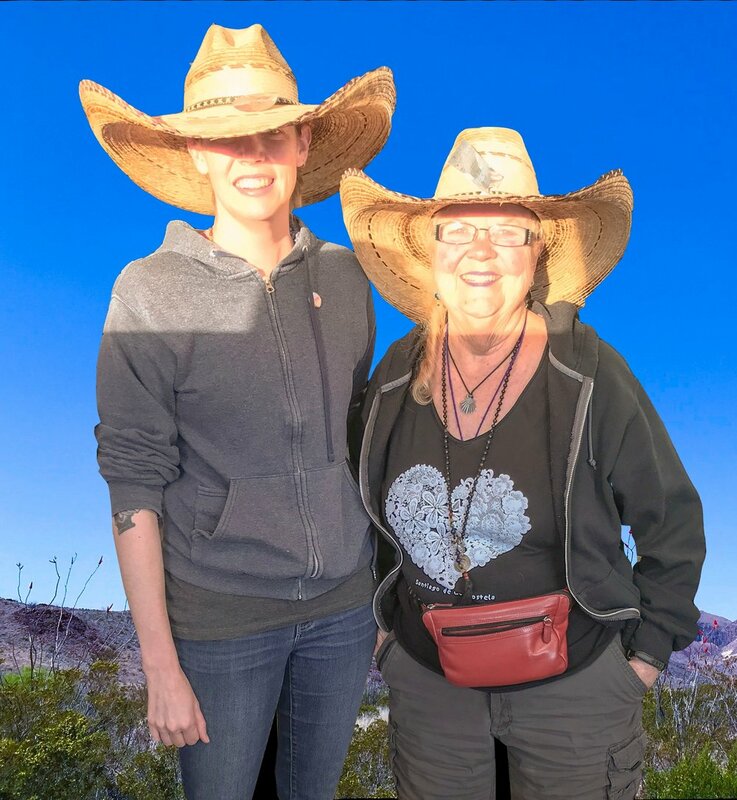 On the road with Alice and Texas sized hats! Heart floating in the Devil’s River!